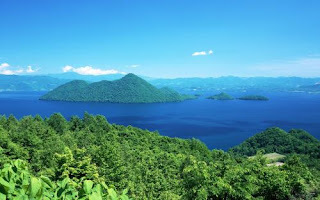 The region of northern Japan, also known as the Tohoku (東北) region, covers the northern portion of the main island of Honshu, situated north of Tokyo’s current location. 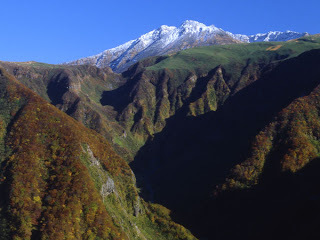 Being a very mountainous region, which was relatively underdeveloped in the past compared to other parts of Japan, travelling from one place to another in this region was indeed an extremely challenging and exhausting task, demanding much vigour and endurance on the part of those travelling. Due to its less strategic location for trading communications with mainland China and the Korean Peninsula, northern Japan is also the last region to be visited by Catholic Christian missionaries of the era. 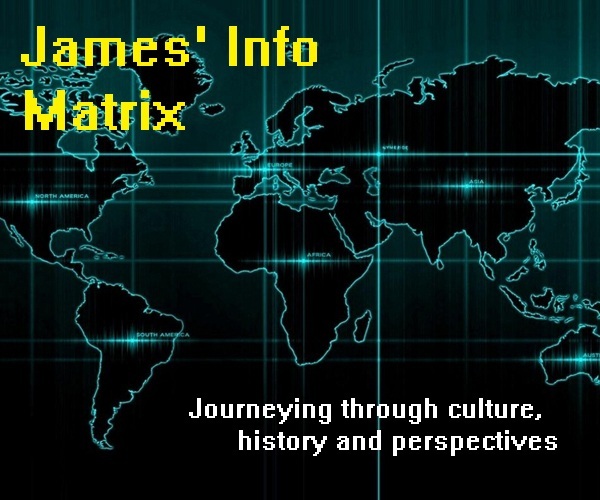 Unlike Christian missionary activities in Kyushu and central Japan, which were started by Catholic missionaries of the Jesuit order, missionary activities in northern Japan were pioneered by Catholic missionaries of the Franciscan and Dominican orders. Nonetheless, Jesuit missionaries did eventually come to this region to carry out limited activities. Propagation of the gospel in northern Japan was extremely limited due to the fact that Christianity reached this region of Japanese soil much later, during an era when anti-Christian persecutions were widespread as the Tokugawa Shogunate did all it could to purge the land of the religion. Although there were several missionaries, both Japanese and European, who had actively contributed to the expansion of the gospel as much as was possible in northern Japan, I will only be mentioning three of them briefly here, namely Fathers Luis Sotelo, Jerome de Angelis and Diego Carvalho. 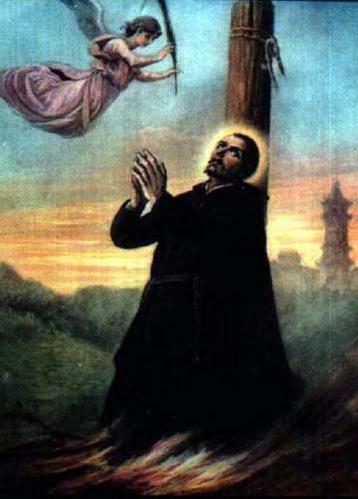 Born in Seville, Spain, Father Luis Sotelo (1574 – 1624) is the first Catholic missionary to begin spreading the gospel in northern Japan. 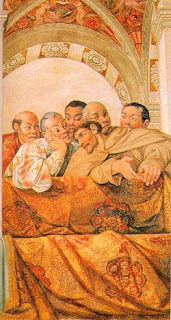 The Franciscan missionary began his work in 1603 in the city of Edo (江戸), which is currently known as Tokyo (東京), thus making him the first ever missionary to propagate the gospel in the then to-be modern capital of Japan. Propagating the gospel in Edo was still easy in the early years of Tokugawa Ieyasu’s reign over unified Japan. While Ieyasu was still solidifying his grip over power after being officially appointed as Shogun by the Emperor in 1603, the great ruler did not want to make any enemies or upset anyone under his rule, including the Catholic missionaries and Japanese Christians. Hence, restrictions on missionary activities were very minimal, if at all, at that time, subsequently allowing the Japanese Christian community in Edo to grow. As the Christian community in Edo grew, Father Sotelo was subsequently able to establish the first church ever in the city. Nonetheless, when anti-Christian sentiments grew under the Tokugawa Shogunate, the church was destroyed in 1612 and Father Sotelo had to flee northwards until he reached the domain of Date Masamune (伊達政宗) (1567 – 1636), the powerful and renowned one-eyed daimyo of Sendai (仙台) and Oshu (奥州). 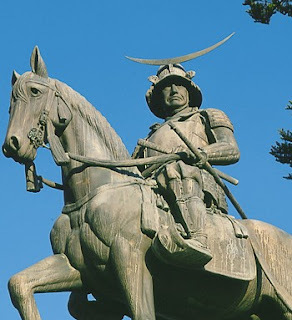 Although Masamune himself did not embrace Christianity, he was very supportive of it and thus became a great protector and patron of the religion. He granted full freedom for Father Sotelo to propagate the gospel within his domain and frequently encouraged the spread of the gospel among his subordinates and subjects. When the persecutions against Christians subsided a little in Edo, Father Sotelo attempted to return to the city to build a new church in May 1613 in order to replace the one that was destroyed earlier. This did not go down well with the Tokugawa Shogunate and officials were immediately sent to capture and imprison the Christians in Edo, including Father Sotelo himself. 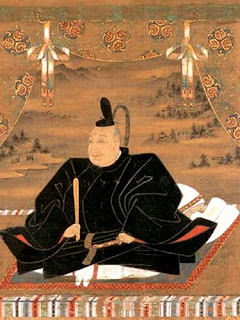 Masamune intervened and made a special request to the Shogunate for Father Sotelo’s pardon and release. The Franciscan missionary was thus spared from being executed when the Shogunate gave in to Masamune’s request. Father Sotelo and Date Masamune are also famed in Japanese Christian history for organizing and sending the Keicho Embassy to Europe. Father Sotelo subsequently set sail from Europe with the embassy in October 1613. More details about the embassy will be covered in the next part of this article. When the Keicho Embassy returned from Europe, Father Sotelo accompanied it back as far as Manila, Philippines in 1618. He, however, was unable to return to Japan due to the ongoing severe persecutions against Christianity in the country. He was finally able to return secretly to Japan in 1622, but he was shortly caught and imprisoned by the Tokugawa authorities. He was consequently martyred by being burnt alive in 1624. Born in Enna, Sicily, Father Jerome de Angelis (1568 – 1623) is perhaps most famed for being the first ever Christian missionary to venture into the northernmost Japanese island of Hokkaido (北海道). Having arrived in Japan in 1602, Father de Angelis first started propagating the gospel on Japanese soil the following year in the town of Fushimi (伏見), near the imperial capital of Kyoto. After spending about 8 years in Fushimi, Father de Angelis went on to spread the gospel and establish a new mission in the vicinity of Sumpu (駿府), presently known as Shizuoka (静岡), in 1611. His mission in this new vicinity was fruitful, whereby he managed to baptize at least 270 people into the Christian faith. Nonetheless, his successes were short-lived, as the year 1614 saw the beginning of the ruthless ban of Christianity under the Tokugawa Shogunate. The edict banning Christianity stipulates that, amongst others, all Christian missionaries were to be expelled from Japan and exiled to Macao. Father de Angelis, however, became one of the few who remained in Japan secretly. It should be noted that prior to the proclamation of the Tokugawa edict banning Christianity in 1614, anti-Christian sentiments had already become widespread in the imperial capital of Kyoto and its surrounding regions in central Japan. The Tokugawa Shogunate had already taken active steps to slowly purge Japan of Christianity, starting from the imperial capital and its surroundings. Due to this, Japanese Christian communities from central Japan, particularly from the cities of Kyoto and Osaka (大阪), gradually migrated away from their own homes and headed northwards, eventually settling in regions in northern Japan such as Akita (秋田) and Tsugaru (津軽). With the persecution against Christians growing in momentum, Japanese Christian communities from Kyushu gradually followed suit. 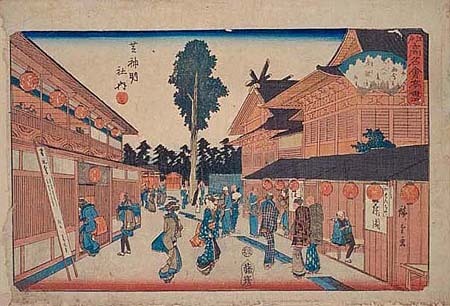 Although migrating and settling in northern Japan in considerably large numbers, local daimyos in the northern domains welcomed the new Christian settlers with opened arms, owing to the fact that many of these new Christian settlers hailed from the upper classes of society or were people of virtuousness. Father de Angelis, who saw that these Christian communities badly needed a priest and missionary amidst them to provide spiritual comfort in trying times, ultimately decided to make his way to the north. He brought with him many gifts and supplies contributed by the Christians who still remained in Kyushu. Travelling from one place to another in northern Japan was definitely no easy task, as Father de Angelis had to do all he could to avoid attracting too much attention upon himself during a dangerous era of persecution. Although persecution against Christianity in northern Japan was not as severe as other parts of the country at that time, the slightest mistake could possibly trigger unwanted action from the authorities. In order to ensure that his presence as a missionary remained largely unknown except by Japanese Christians living in the vicinity, Father de Angelis frequently travelled as a merchant in disguise from one place to another. His travels, accommodations and merchant goods that he had to bring along as part of his disguise were all supported and assisted by many wealthy and influential Japanese Christians. Putting aside all these challenges, Father de Angelis also had to face many harsh conditions as he travelled through the large mountainous, jungle-filled and underdeveloped regions of northern Japan. Nevertheless, all these tremendous challenges did not discourage him or sway his unwavering determination to work for the gospel. He managed to visit many places regularly, such as Oshu, Sendai, Hirosaki (弘前), Tsugaru, Akita and Dewa (出羽). In most of the towns, cities or provinces that he visited, he found significant numbers of Japanese Christians who were eager to welcome a priest and missionary in their midst. Whilst in northern Japan, Father de Angelis mainly carried out his activities within the Japanese Christian communities – hearing Confessions, giving Holy Communions and teaching them about the Bible. 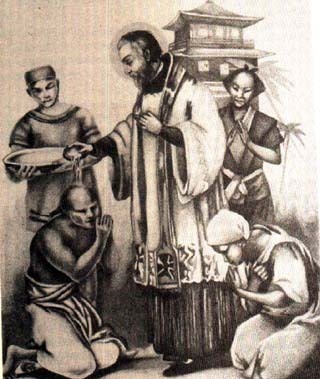 As the presence of a foreign missionary would undoubtedly alert the Tokugawa authorities, Father de Angelis could not do much to spread the gospel outside the Christian communities. This task was instead assumed by the many Japanese Christians who were eager to spread the faith. 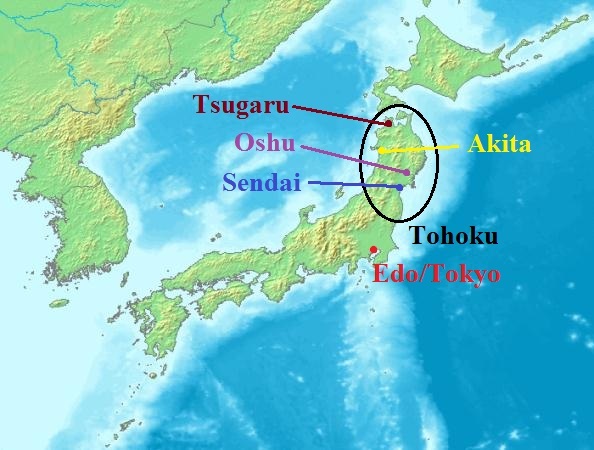 The island of Ezo (蝦夷), or modern-day Hokkaido, is situated to the north of Honshu, just across the Strait of Tsugaru (津軽海峡, Tsugaru Kaikyō). 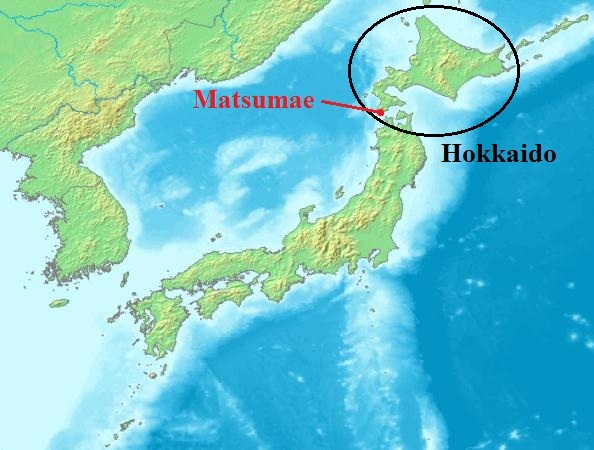 In the past, throughout Japan’s imperial era, Hokkaido was not a part of Japan itself, and the Japanese often perceived the island as being a foreign country. Indeed, the actual natives of the island, the Ainu people, possessed a set of customs and culture which were distinct from those of the Japanese. It was only in the 19th century when Hokkaido was officially annexed into Japan and thus recognized as Japanese territory. It was in the year 1618 when Father de Angelis first made his way across the Strait of Tsugaru to the northern island of Ezo or Hokkaido. He thus became the first ever missionary to venture out into the northern island. During the era, there was only a single settlement on the entire island where the Japanese lived – Matsumae (松前). Hence, it was to this settlement that Father de Angelis made his way from Honshu. Matsumae Kinhiro (松前公広) (1598 – 1641), the daimyo of Matsumae at that time, had heard a lot about Christianity and was very friendly with the Christians within his domain. In fact, it is said that he kept many Christian religious articles in his home as well, despite the fact that he never embraced Christianity. When Father de Angelis arrived in Matsumae, he was very warmly welcomed by the daimyo, in which he had prepared lodgings for Father de Angelis even before the missionary’s arrival in the settlement. Once again, Father de Angelis did not do much to spread the gospel outside the Christian community in Matsumae, owing to the dangers of the era. Nevertheless, just like in northern Honshu, this task was carried out actively by the Japanese Christians in the settlement. After hearing Confessions and teaching the Japanese Christians there about the Bible for some time, Father de Angelis then left Hokkaido to continue his work in northern Honshu. In 1621, the missionary left northern Japan for Edo (Tokyo), where he attempted to establish a mission and propagate the gospel there. He was finally martyred there in 1623. Father Diego Carvalho (1578 – 1624) generally followed in the footsteps of Father de Angelis throughout his missionary activities in northern Japan. Born in Coimbra, Portugal, he first arrived in Japan in 1609. He spent a few years propagating the gospel and conducting various missionary activities in Amakusa and Kyoto before being exiled to Macao in 1614 when the anti-Christian edict issued by the Tokugawa Shogunate came into effect. However, Father Carvalho was able to return secretly to Japan several years later. Upon his return to Japan, Father Carvalho made his way to northern Japan and arrived there in 1617. Just like his co-worker Father de Angelis, he frequently had to travel from one place to another in disguise in order to prevent himself from attracting unnecessary attention during an era of persecution. Throughout his years spent in northern Japan, Father Carvalho visited many places that Father de Angelis had also visited, administering Holy Communions, hearing Confessions, teaching about the Bible and giving encouragement to the Japanese Christians as he went along the way. Like Father de Angelis, he was unable to spread the gospel much beyond the Christian communities due to the dangers of persecution during the era. 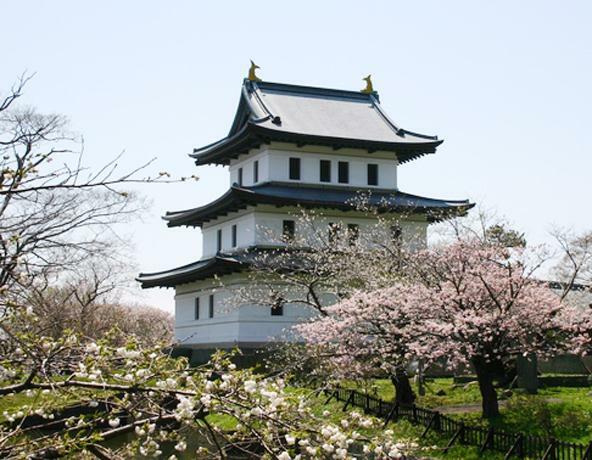 Among the places that Father Carvalho visited were Oshu, Sendai, Dewa, Hirosaki, Tsugaru, Akita and Mizusawa (水沢). 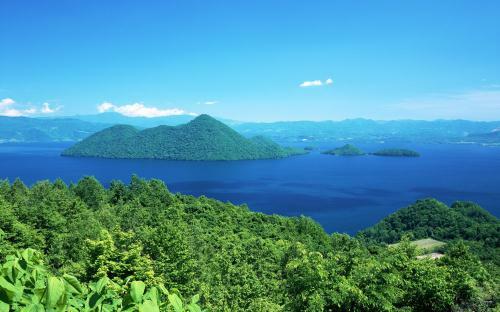 He also ventured out into the settlement of Matsumae on the island of Hokkaido in 1620, sometime after Father de Angelis had left the settlement. Father Carvalho was finally martyred in Sendai in 1624. This concludes the general outline of the lives and activities of several great missionaries who tirelessly and relentlessly gave their best for the spread of the gospel in the Land of the Rising Sun. If you’d like to read more about the reception of the gospel and Christianity among the Japanese people of the era, feel free to proceed to the next part of this article.